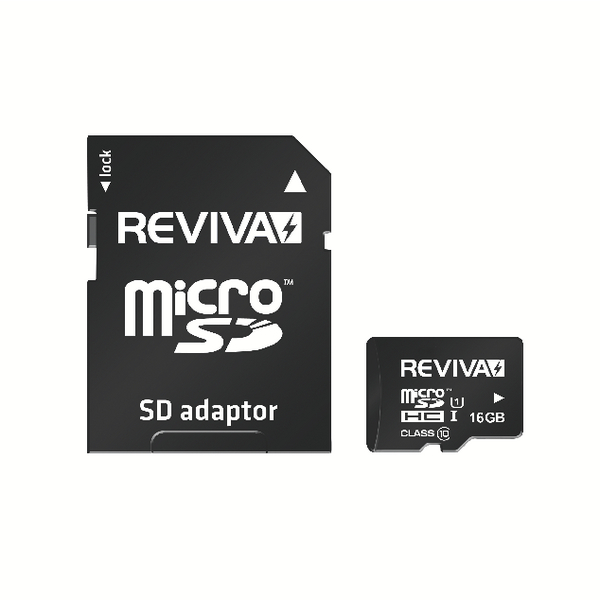 The Reviva 16GB MicroSD Memory Card provides storage for your portable devices like digital cameras, smartphones, navigation system s, music players and digital camcorders. 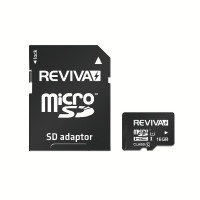 With the addition of a full-size SD card adaptor for compatibility with laptops and digital cameras. Rated at Class 10 with read/write speeds up to 10MB/s means top results shooting both HD videos or still photography.